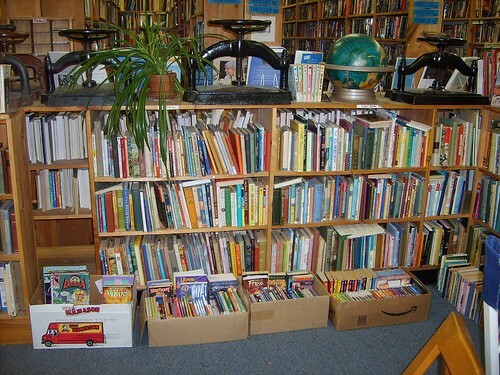 Cellar Stories is a popular used bookstore in Rhode Island that has been around for 30 years. The website is updated daily with new titles that customers might be interested in, however, the design hasn’t changed in years. As a result, the website feels clustered and chaotic, a common thread amongst older websites without much information hierarchy. 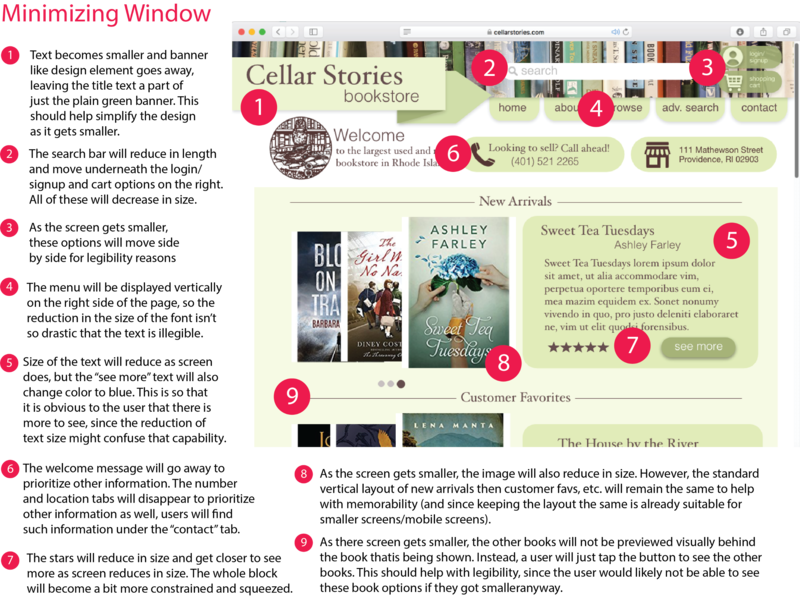 There’s a whole online audience and new oppertunities waiting for small businesses like Cellar Stories. If they miss out, they will suffer from it. 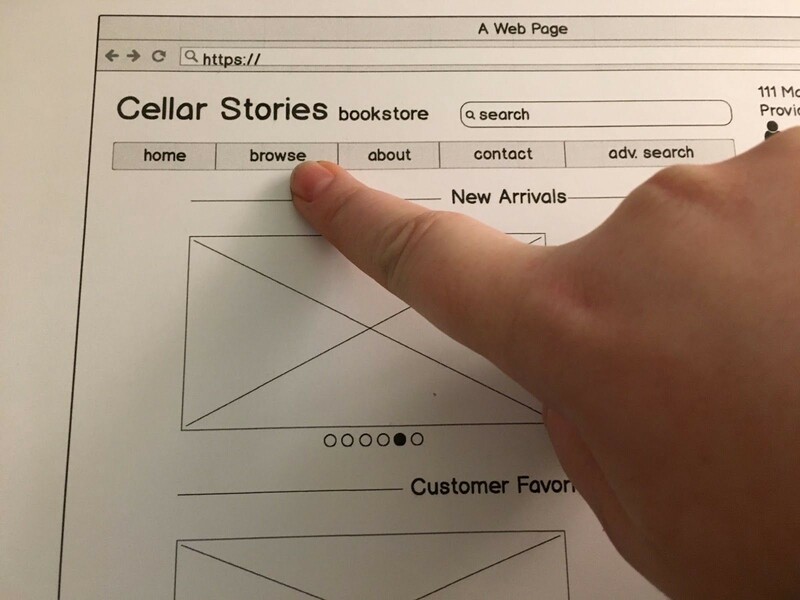 Cellar Stories is one of many small businesses with online representation problems. 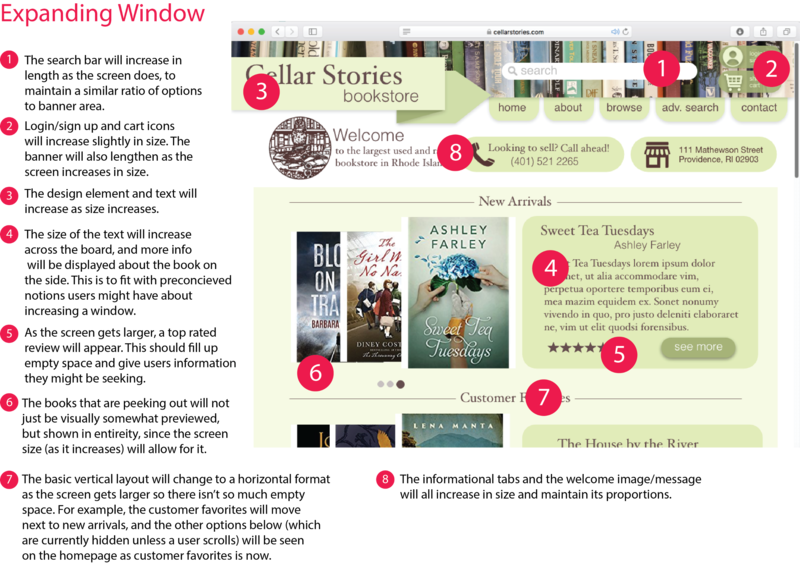 In the redesign, I sought out to create that missing information hierarchy and make the website more navigable, while still maintaining the initial charm. Making simple navigational changes along with adding more of an emphasis on the books themselves gives clarity and makes it more user friendly. 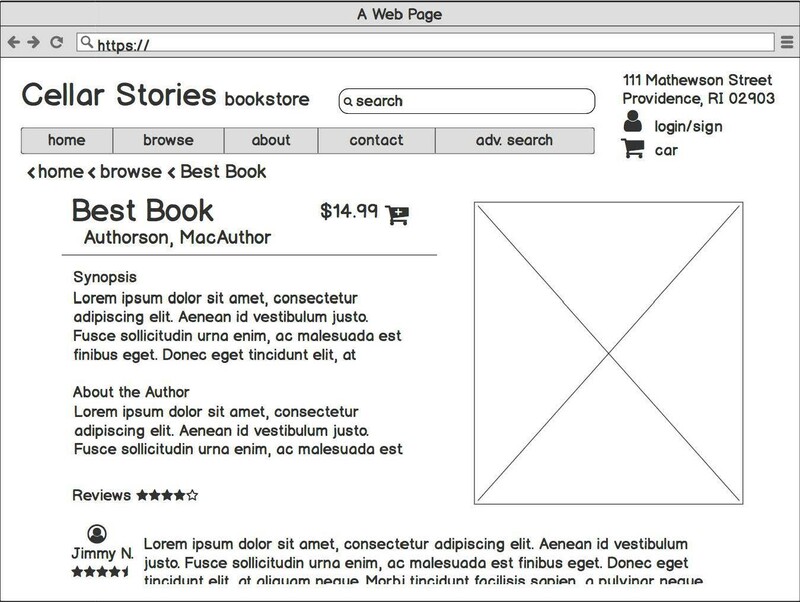 I mocked up a few wireframe screens to better understand the navigation. 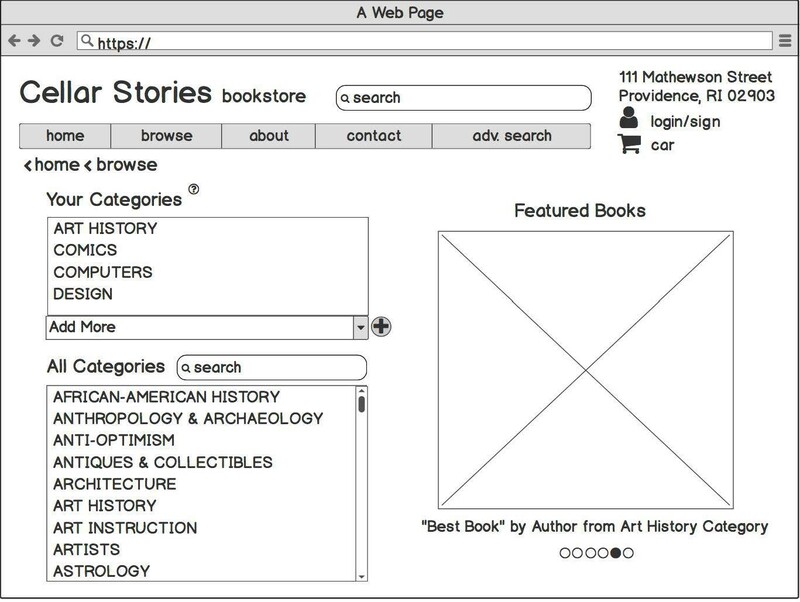 I focused more on users who might browse books instead of simply using the search or advanced search functions. To reach a larger audience, the website needs to be prepared for these different kinds of users. 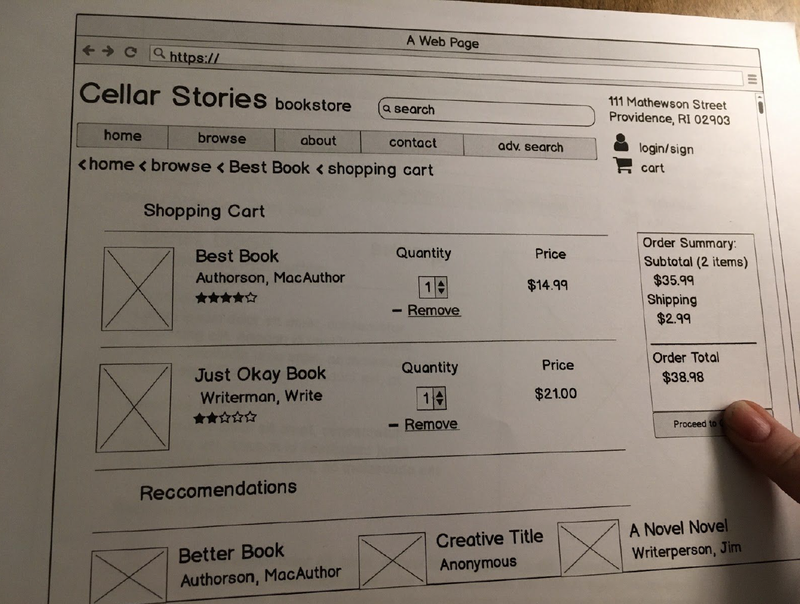 I tested the wireframes in a Wizard of Oz test, a printed prototype user test (i.e. finger instead of mouse), with a few different users to see if the navigational logic made sense. The testing was very successful. 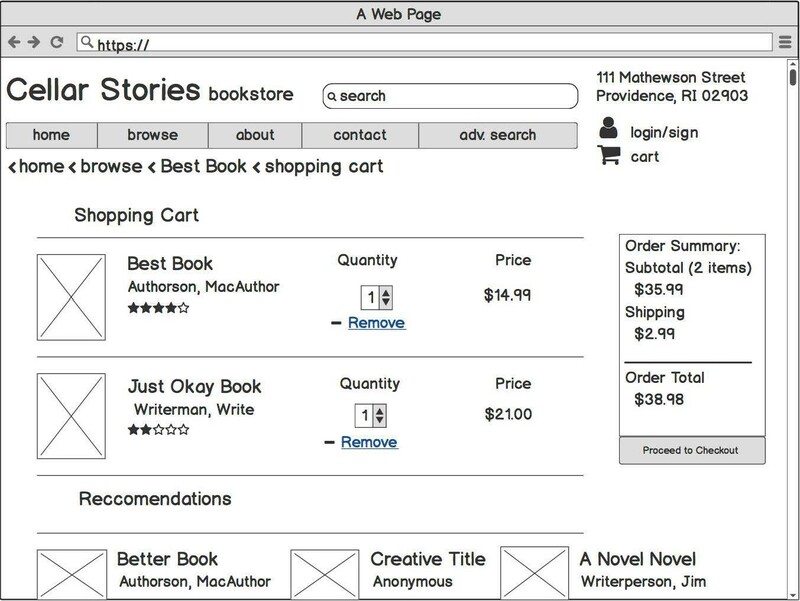 Users often clicked on images of books instead of buttons, making me believe the book cover-oriented design was working. 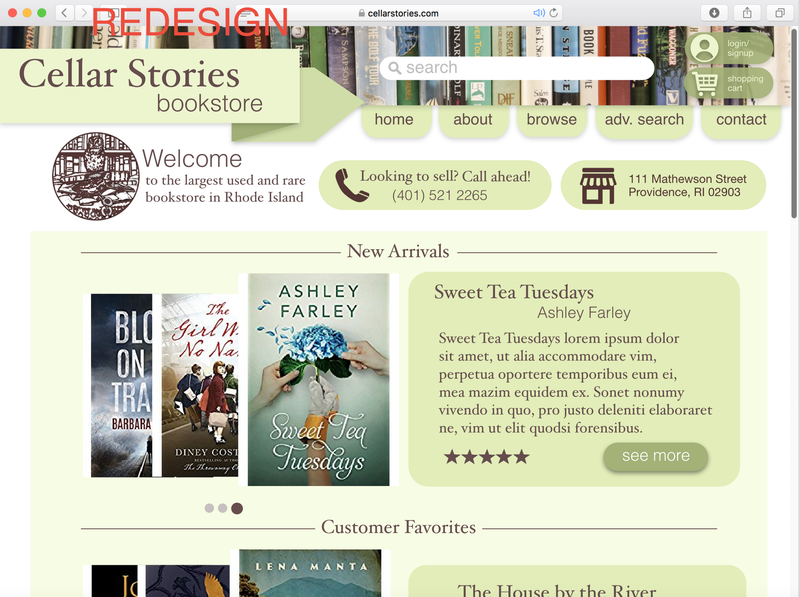 I later asked them about their use of online databases for libraries or bookstores. Many replied with something along the lines of “It’s been a long time…” However, they did talk about using Amazon and GoodReads, two user-oriented approaches to promoting/selling books online. Visual design and navigational clarity are crucial to get rid of that “boring-ness” and allow for a larger audience of online buyers. 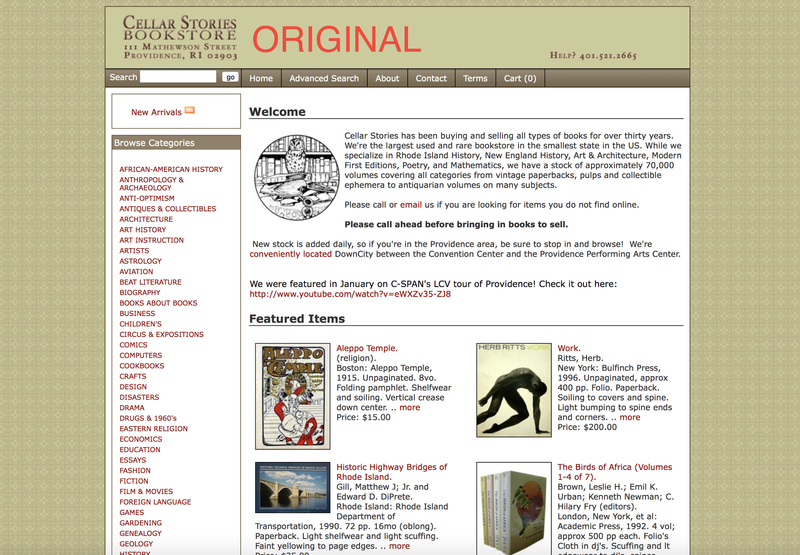 There are audiences online that go untouched by small businesses like Cellar Stories. 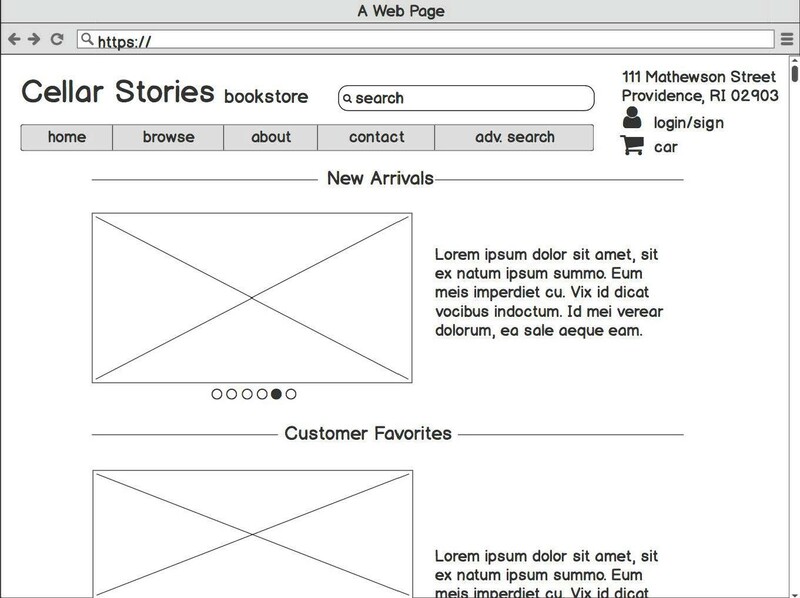 It’s the boring design, the poor navigation, or the uninteresting databases that turn online shoppers away. 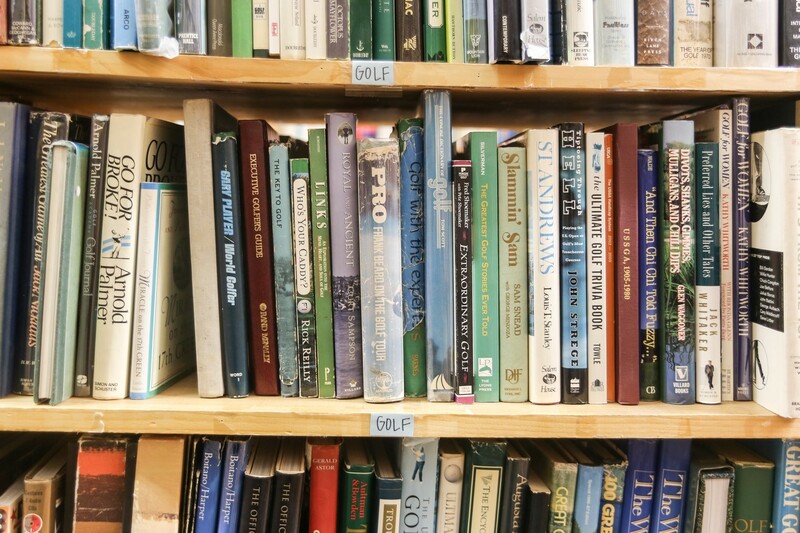 Buying books is exciting in person, why can’t it be exciting online? From this redesign experience, I’ve learned that there needs to be a creative lense put on sites like this to inspire modern shoppers. And that navigation and information clarity really matters to encourage users to revisit.